Many people use apps such as AppLock to keep his clicked photos and videos private. However, this feature is relatively easy for the Android smartphone, but many people do not know how to hide photos and videos on the iPhone. 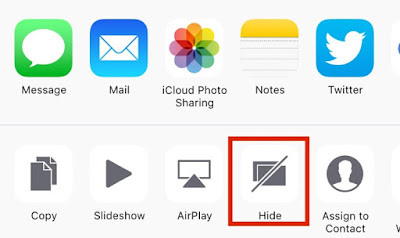 The iPhone’s Photo App offers an option to hide photos and videos, but people do not know how to do that so let’s find out. Read more: How to Send WhatsApp Message to Unsaved Number? 1) Open the photo app in the iPhone. 2) Then select whichever photo and video you want to hide. 3) Then click the Share button, which appears below the left side of the phone screen. 4) Here you will see Hide option. Click here so that your photo and video will be hidden and you will not see that content in your iPhone’s photo app. How Do You Unhide Content? The content you’ve to hide now is not visible to you in the photo app. Because now it will be in the hidden folder of the Content Albums tab. 1) First, go to the Hidden folder. 2) Here you will see hidden photos and videos. 3) Now you have to select the photo and videos that you want to unhide. 4) Doing this will unhide your photo and look at your photographs in the iPhone’s photo app.